SHSU alumna Amanda Cervantez will share with students how she utilizes her criminal justice degree in her work with CASA on Nov. 6. SHSU alumna Amanda Cervantez is a voice for area children in foster care. As a case supervisor at CASA of Walker and San Jacinto counties, the 2011 graduate helps oversee 130 to 140 children annually from abused, neglected and abandoned backgrounds under the supervision of Child Protective Services. Cervantez will return to campus on Tuesday (Nov. 6) to discuss her work as the guest speaker for “Real Talk with CJ,” at 2 p.m. in Criminal Justice Center Room A209. CASA, which stands for Court Appointed Special Advocates, is assigned as guardian ad litem for children from birth to 18 years old, watching over their medical and dental care, education and therapy, and, if parental reunification is planned, monitoring parent participation in mandatory programs, while reporting their findings back to a judge. The work can’t be done without a cadre of 50 volunteers, who make the calls and visit the children at least once a month. Cervantez began at CASA in that capacity in July 2011, and by March, she was on the staff of three that oversees children under CPS supervision in three counties. Advocates’ work safeguard the child’s best interests in court and ensure they are placed in safe, permanent homes as quickly as possible. They also get to know the child and speak to everyone involved in the child’s life, including their family members, teachers, doctors, lawyers, social workers and others, to better understand their needs. In Texas, there are 69 local CASA programs with more than 5,000 volunteers serving more than 20,500 children in foster care. Cervantez said she wishes she had become a volunteer earlier so she could better understand what she was learning in her SHSU classes. For more information, contact CJ publications coordinator Beth Kuhles at 936.294.4425 or kuhles@shsu.edu. Sibyl Bucheli, assistant professor of entomology, will discuss her life as an “Entomophile” on Monday (Nov. 5) during the Honors 3332 Journeys seminar. The presentation will begin at 4 p.m. in the Smith-Hutson Building's Haney Auditorium, in Room 186. Entomology is the branch of science concerned with the study of insects. “I plan on discussing how insects are both detrimental and beneficial to humans,” Bucheli said. “Everyone knows how they hurt us but few people focus on how insects help; I always like to focus on the positive. Bucheli received her bachelor’s degree in biology in 1995 from Hiram College, near Cleveland, and her master’s and doctoral degrees, in 1999 and 2006, respectively, in entomology from The Ohio State University. She joined the SHSU faculty in 2006 to teach entomology, evolution, and biology for non-majors. She also has an active research program with a wide breadth, but focusing on insect biodiversity of the Piney Woods ecoregion, including the ephemeral fauna of human corpses. Bucheli said she has always loved insects. The lecture, sponsored by the Elliott T. Bowers Honors College, is part of a class designed to show students what characteristics lead to success. For more information, contact class instructor Patrick Lewis at 936.294.3397. The Sam Houston State University Alumni Association is sponsoring a charter bus to the SHSU vs. Texas A&M football game in College Station on Nov. 17. The bus will depart the Chemistry and Forensic Science Building parking lot, on the corner of Sam Houston Avenue and Bowers Drive, at 10:30 a.m. and will return immediately following the game. In addition, the Alumni Association is hosting a pre-game party beginning at 11:30 a.m. in the Texas A&M Student Recreation Center, at 797 Olsen Blvd., directly across the street from Kyle Field. Hors d’oeuvres will be served and a beverage ticket will be provided to those who attend. The cost is $30 per person, which does not include game ticket. Pre-game party tickets are $10 per person, or $15 at the door. Seating is limited, and reservations are requested by Nov. 15. Game tickets can be purchased by contacting the SHSU Athletic Ticket Office at 936.294.1729 or online at gobearkats.com. For more information, or to reserve a bus seat or pre-game tailgate party admission, call the Office of Alumni Relations at 936.294.1841 or go online to alumni.shsu.edu. The Sam Houston State University School of Music will present four days of “string-related activities and events” during its fourth annual Festival of Strings, Nov. 8-12. This year’s Festival of Strings will encompass faculty and guest artist recitals, master classes and orchestra concerts, including world-renowned violin soloist Dylana Jenson, cellist Ionut Roméo Voinea, and guitarist Alberto Rodriguez Ortiz. The festival will open on Thursday (Nov. 8) with a recital with Romanian cellist Ionut Roméo Voinea and School of Music faculty Ilonka Rus-Edery on piano at 7:30 p.m. in the James and Nancy Gaertner Performing Arts Center Recital Hall. On Friday (Nov. 9), the festival will present a series of free master classes beginning at 10 a.m. with guitarist Alberto Rodriguez Ortiz, followed by a free recital by Ortiz at noon in the GPAC Recital Hall. Ortiz is among the most active contemporary interpreters and composers of the new generation of Puerto Rican musicians, according to Pinell. Afternoon master classes include cello with Ionut Roméo Voinea at 1 p.m. and violin with Dylana Jenson at 3 p.m. Both also will be in the GPAC Recital Hall. The festival will continues on Saturday (Nov. 10), with an SHSU Symphony Orchestra Concert, featuring Jenson as a guest soloist performing Tchaikovsky’s “Violin Concerto.” The performance will begin at 7:30 p.m. in the GPAC Concert Hall. Finally, the Kolonneh Chamber Players will close out the festival with a free concert on Monday (Nov. 12) at 7:30 p.m. in the GPAC Recital Hall. Tickets for the Nov. 8 and Nov. 10 concerts are $15 general, $12 seniors and $5 for SHSU students. All other performances, including master classes, are free and open to the public. For more information, or to purchase tickets, contact the GPAC Box Office at 936.294.2339 or shsu.edu/cofamc/boxoffice. This month’s Foreign Film Festival will visit Japan, Brazil, and Sweden, presenting movies that explore “The Little Mermaid,” hell on earth, and the bedroom. The 2008 Japanese, American and French film “Ponyo”—featuring the voices of Tina Fey, Matt Damon and Cate Blanchett—will kick off the November showings on Tuesday (Nov. 6). In the film, celebrated Japanese animator and Academy-Award winner Hayno Miyazaki updates Hans Christian Anderson’s “The Little Mermaid” into “a visual treat worthy of comparison with Disney’s early, ground-breaking films,” said Ralph Pease, festival host and professor emeritus of English. “Miyazaki further proves that animation is not just for children,” he said. On Nov. 13, the festival will visit Brazil’s “City of God,” one of the best films you’ll ever see,” wrote film reviewer Robert Ebert. The 2002 film is a violent, innovative mosaic of stories set in Rio de Janeiro’s worst slums. It is not recommended for children. “This is a slam-bang, quick-cutting, brutal film that jars the senses but still manages to tell a hopeful story about a young man trying to find a way out of his hell on earth,” Pease said. Finally, the festival will showcase Sweden’s 1995 “Smiles of a Summer Night,” a black and white film starring D. Ingmar Bergman, Ulla Jacobson and Eva Dahlbeck, on Nov. 27. All of the Fall 2012 Foreign Film Festival presentations, sponsored by the English department and the College of Humanities and Social Sciences, will begin at 3:45 p.m. and again at 7:00 p.m. in Evans Building Room 105. Screenings are free and open to the all SHSU students, faculty, staff and their guests. After spending four years at the Holliday and Wynne Units, correctional officer Melanie Smith decided she would like to become a lawyer to provide a voice for victims or to defend the innocent. 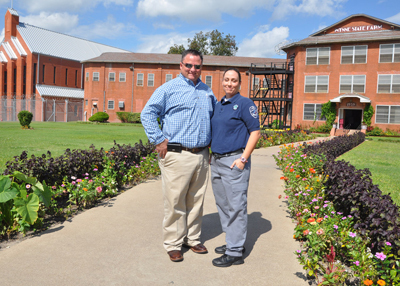 Smith is pursuing her dream at Sam Houston State University’s College of Criminal Justice thanks to a scholarship endowment fund that was set up by fellow correctional officers and friends to honor one of their own killed in the line of duty. 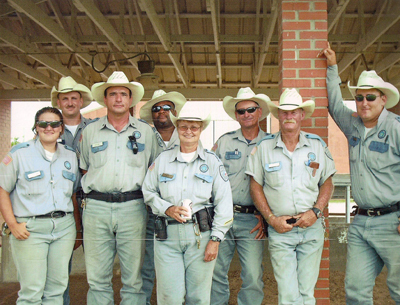 The scholarship was set up by then-Wynne Warden Chris Bell, and employees from across the Texas Department of Criminal Justice contributed to the scholarship fund established in honor of Susan L. Canfield, who was supervising inmates outside the Wynne Unit in 2007 when she and her horse were struck and killed by two of the inmates who escaped in a stolen vehicle. The TDCJ training center created a coin in Canfield’s honor and the proceeds from sales at the Texas State Prison Museum were given to the scholarship fund. Each year, fundraisers are held in her name to raise more money for the endowment. Smith said she is honored to receive the scholarship that bears Canfield’s name. It means even more to be coming from the TDCJ and a job she loves. For the last six months, Smith has been assigned to the administrative segregation unit at Wynne, which houses inmates who are security threats or individuals who have gotten in trouble in prison. She provides for daily care, which may include meal, showers or medical visits. 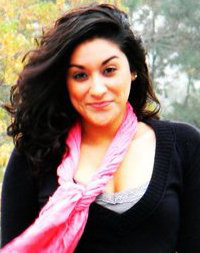 She continues to work full-time while attending classes as a junior at SHSU. Smith said classes provide a broader perspective on the criminal justice system. At the Wynne Unit, she can apply her learning to her everyday interaction with inmates. 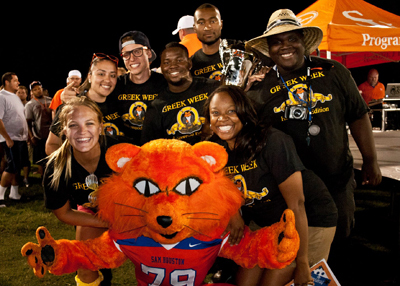 SHSU’s Greek organizations joined together Sept. 30 through Oct. 4 to participate in the annual Greek Week, the “largest and most elaborate philanthropy of the year for the Greek community,” said Jerrell Sherman, assistant dean of students for Greek Life. 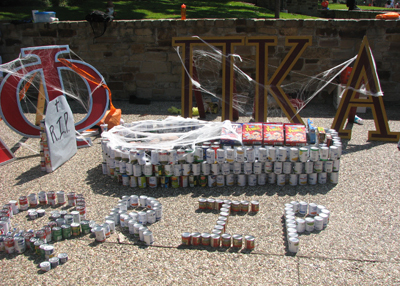 Greek Week has been a tradition for over 40 years. The event started in the 1960s with only Interfraternity Council and National Panhellenic Council organizations and after 2009 added the Multicultural Greek Council and the National Pan-Hellenic Council. “Here at SHSU, we have records showing it going on in the 70s but up until 2009 only IFC and NPC organizations participated. Once I started working here I felt it couldn’t truly be Greek Week without all four Greek councils participating, so MGC and NPHC were added and have been active for the last three years,” said Sherman. The event had 760 participants and raised more than $2,500; 60 percent went to the Muscular Dystrophy Association and 40 percent went to the Winner’s Circle. The student committee selects the charities every year. “All charities are important but they wanted to pick some this year that don’t always get the big press coverage or attention as others,” Sherman said. Despite the prizes available for students, Sherman emphasized the importance of giving back to the community for all students, especially Greeks. “All the Greek Week teams are split between three locations each doing various types of services, either with the youth, senior citizens, or cleaning up around town or for local businesses,” said Sherman. Organized by the committee chairs from all four Greek councils, a student committee selected the Hollywood theme and the 24 organizations divided into groups of six, each with names from different movie genres. Among the service-related activities were a blood drive to “commit for life” in the Lowman Student Center Ballroom, in which 137 donors participated; 720 hours of community service, as teams ventured out into the Huntsville community; and a canned-food building competition that raised over 6,700 items for the local Good Shepherd Mission. Greek Week also included a dance-a-thon, a dodge ball tournament, a movie remake, a costume contest, a pickle-eating contest, a “car cram,” tug-of-war, and a chariot race sponsored by Red Bull. “It was very successful. It is my hope that it gets bigger and bigger and more money is raised for the charities. I also hope to continue to build on a positive image of Greek Life on campus and in the Huntsville community,” said Sherman. The winner of Greek week was the “Horror” team made up of Omega Delta Phi Fraternity, Pi Kappa Alpha Fraternity, Alpha Phi Alpha Fraternity, Sigma Kappa Omega Sorority and Delta Xi Nu Sorority.